Before your big retirement move, make sure you can afford these important taxes. Deciding the right time to retire is just one of the many factors Baby Boomers must consider in their lifetime. Trying to figure out which 55+ community is convenient for their lifestyle, income, and retirement benefits is something they should research diligently. And if they choose to move to a different state, then that brings up a lot more questions too. How will moving to a new state affect your retirement income? Will this new state be tax-friendly toward your Social Security benefits? Are the sales and property taxes high or reasonable? And what about inheritance tax? These are all important questions to consider before you make your move and comparing these taxes before moving to a new state is a good place to start your research. Depending on which state you choose, there can be pros and cons on how your hardworking income and assets will be taxed. Some states are great for retirees because they don’t tax Social Security Benefits. Florida, Alaska, Washington, Texas, Nevada, and Wyoming are just some of the states that don’t tax Social Security benefits. Other states that do tax these benefits may require active adults to include up to 85% of their Social Security benefits in their taxable income when filing their federal tax return. Retirees who mostly depend on this income will need to think about their budget and lifestyle as well as consider if moving to a state that taxes these benefits is convenient for them. Retirees who have worked in the military, in-state government offices or federal positions should find out if their state excludes their pensions from taxation. Although most states impose an income tax exemption for at least a portion of pension income from taxation, public and private pensions can be handled differently depending on the state that you worked for throughout your lifetime. So if you were a state worker, you may want to avoid moving to a new state. Retirees who love to shop should consider states with no sales-and-use tax. These states include Montana, New Hampshire, Oregon, Delaware, and Alaska. If you decide to move to a state like California, which has a state sales tax rate of 7.5%, it could affect your shopping budget during retirement. Other states that have a 7% sales tax rate include New Jersey, Rhode Island, Tennessee, Mississippi, and Indiana. Property taxes are another thing to consider before moving to a new state. 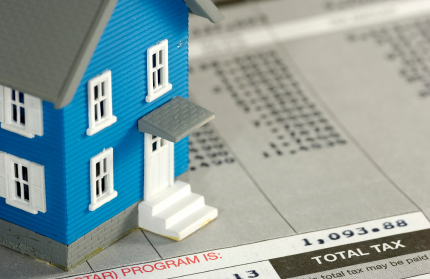 You may end up paying higher property taxes than the actual value of your home. States like New Hampshire, New Jersey, Illinois, Vermont, Nebraska, and Wisconsin are just some of the states where homeowners pay in property taxes 1.2% or greater of their home’s value. And New Hampshire has the third highest property taxes in the country. Baby Boomers shouldn’t forget about inheritance tax as well. Retirees should do plenty of research on inheritance tax because it varies by state and some may offer a few exemptions for assets transferred to a spouse, children, or close relatives. In some states, heirs have to pay taxes on inherited assets. A few of the least-friendly inheritance tax states include New York, Ohio, New Jersey, Connecticut, and Oregon.